Expedia.com.my® 2016 Flip Flop Report reveals a slew of Malaysian beachgoers’ preferences that, accommodation operators should heed to further grow business. KUALA LUMPUR, Malaysia, 12 September, 2016 – Today, Expedia.com.my® released the results of the 2016 Expedia® Flip Flop Report, an annual study of the behavior and preferences among beachgoers around the world. Aside from the fact that Malaysians love the pristine local beaches, with a resounding 71 percent of respondents having taken a beach vacation in the last 12 months, the survey also underscores the strong familial ties that Malaysian travelers share, with 74 percent opting to travel with their families and 77 percent preferring destinations with family-friendly accommodation and activities. This, indeed, bodes well for the beach accommodation operators who include kid-friendly menus, child-care, playgrounds and activities for children of different ages and other family-friendly amenities. With family-friendly theme running popular, it is not surprising that safety came up very high on the list of priorities, with 96.2 percent of respondents opting for safe destinations and 37 percent being afraid of having their essential possessions – such as the wallet or passport stolen. With this in mind, paying attention to the guests’ feeling of safety and having modern deposit boxes or safes on the grounds would help increase the attractiveness of beach accommodation to Malaysian beach holiday makers. Malaysians like finer things in life, and, the availability of beach amenities, such as the convenience shops and having drinks and snacks served on the beach, emerged as very or somewhat important for 82 percent of respondents. Small gestures like these could go a long way in attracting the Malaysian beach lover. When asked about some of the key amenities the beach lodging should have, a resounding majority of 63 percent voted for WiFI and Internet browsing, with 38 percent saying they needed Internet access to share snippets of their experience on social media. This is in line with the fact that Malaysians are one of the world’s most active social media consumers and something to pay close attention to. Social media visibility (images of beach and accommodation) showed up as another important factor that accommodation providers need to bear in mind, as this influences 61 percent of respondents’ choice of accommodation. This study was conducted on behalf of Expedia by Northstar, a globally integrated strategic insights consulting firm. This survey was conducted online from April 6 to April 21, 2016 across North America, Europe, South America and Asia Pacific using the Kantar-owned GMI (Global Market Insite) and Lightspeed Research amalgamated group of panels. 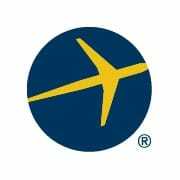 Expedia.com.my® offers travellers a wide selection of hotels, activities and travel services at attractive rates. With over hundreds of thousands hotel partners worldwide and comprehensive choices of flight inventory made readily available on Expedia.com.my®, travellers can book everything they need for a holiday – rooms to meet every budget, activities of every kind and travel services to complement. NORTHSTAR is a strategic marketing insights and consulting firm that aligns leading edge, customized research techniques and cultural context with proprietary and proven strategic marketing frameworks and models to drive insights to impact. Northstar’s suite of services relate to the most critical elements of brand, customer and marketing strategy, with sector expertise in travel and tourism, retail, automotive, CPG, food & beverage, financial services, pharma / health care, transportation and fashion / luxury. For more information, please go to www.northstarhub.com.